Apples are an inexpensive and healthy fruit, providing us with fiber, calcium, phosphorous, vitamin C, vitamin A,and potassium, . Since markets carry apples all year round now, it's easy to enjoy apples whenever we want. 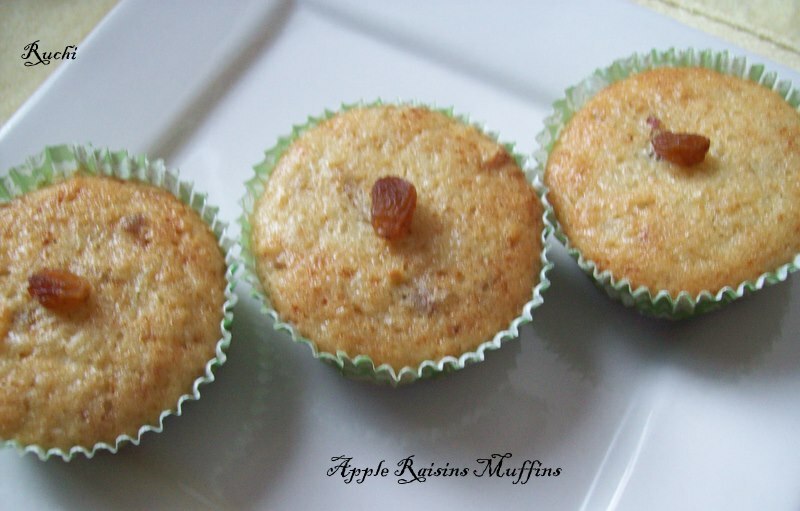 I'd purchased some apples from the market the day before .I decided to make something light and healthy Breakfast/snack I made this egg less Apple muffins as a dessert. I made two batches, one with chocolate chips and nuts the other without them. It is Very tasty and east recipe. Trust me they are great for a breakfast treat! 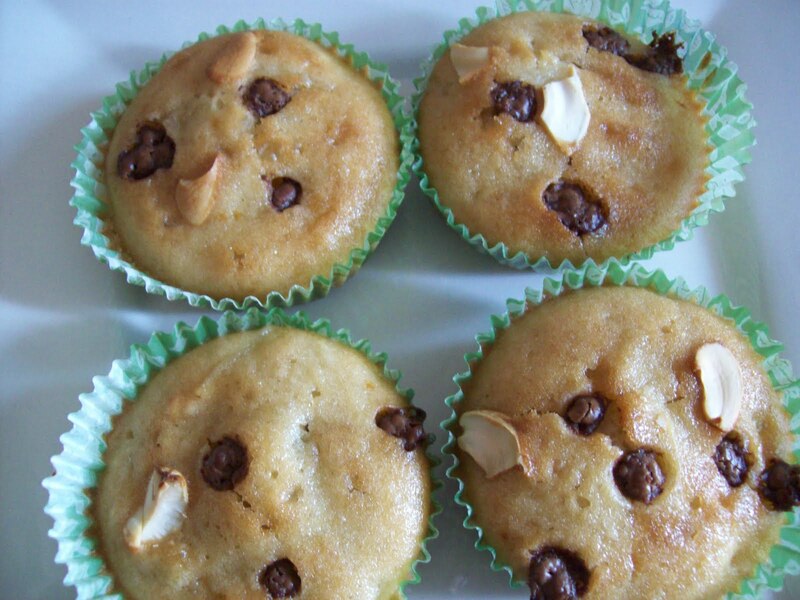 These are the best muffins that I have every made! They're sweet, nutty and full of apple flavor. http://funwithspices.blogspot.com/2008/04/basket-full-of-eggless-apple-raisin.html.I prepared this recipe without any change it comes out soft , moist& delicious.Here is adelicious Eggless Apple Raisin Muffins recipe. Enjoy! 1.Grate applesand keep aside.Preheat the oven to 250 degrees c .
3. Remove the pan from heat and cool completely. 4. In a large bowl, stir the baking soda and vanilla essence into the flour. 5. Add the cooled mixture to the bowl and stir until blended. 6. 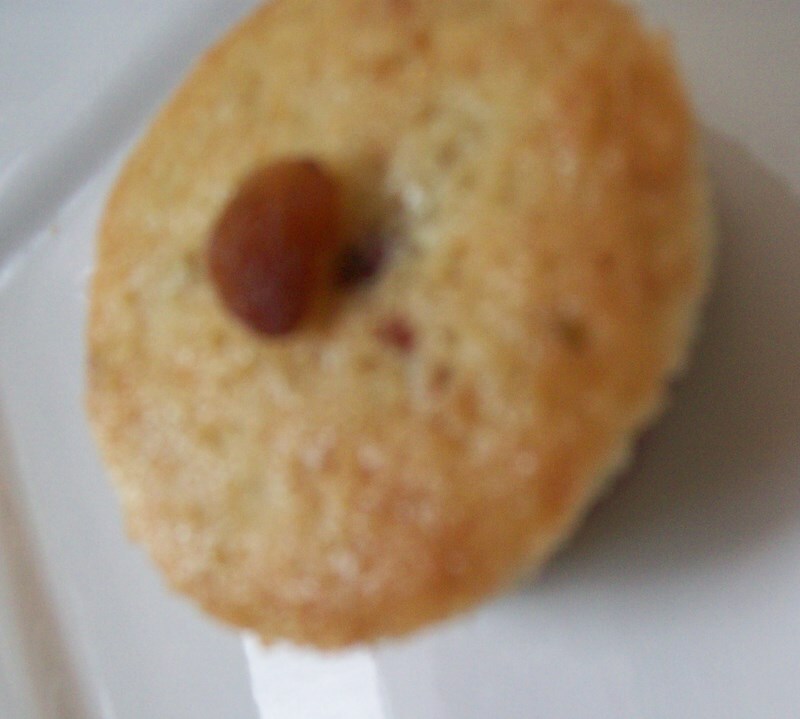 Fill the greased muffin pan with the batter to the top. 8. Delicious moist muffins are ready to eat. 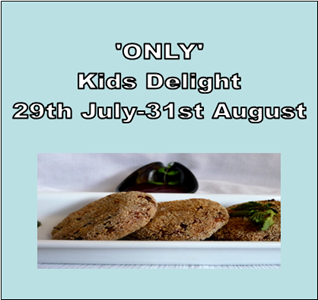 Iam sending this Eggless Apple Raisin Muffins & Pistachio Cookies to PariVarshits Kids Delight Event. Scrumptious and delicious combo for muffins..
Oh soooo yummy :) Eggless!! makes me badly wannna try it :) bookmarked. Looks very delicious and soft... apple and raisins are a great combo!!! Lovely looking muffins! Love the fact that its eggless! Love to have them right now..Mouthwatering ! These are sinful n delicious looking muffins..Glad i dropped in to ur space n now ur happy follower!! super soft and nice recipe. i like that combo. looks nice akka.